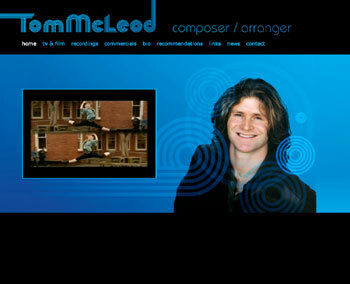 Composer, arranger, music producer and conductor Tom McLeod needed a web presence to promote his professional music commissions for film and television, recordings and commercials, and for engagements with Tommy Love and the Loungerillo Orchestra. He wanted lots of clips and a Content Management System. His visual design was by Tim Christie.